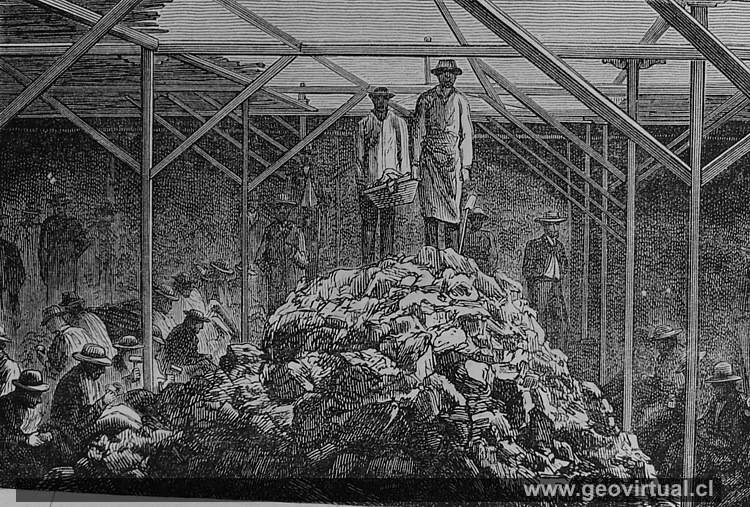 The drawing from 1872 shows the manual stone selection in the silver mine "Buena Esperanza" in Chimbero / Tres Puntas. 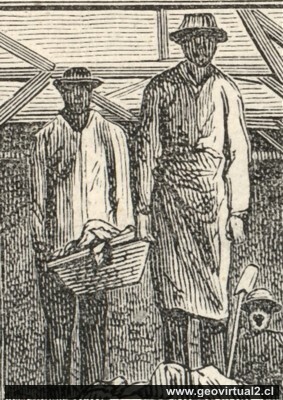 In general, R. Tornero's drawings are contrasted in strong black and white, the faces of the persons are hidden in a black shadow - no details, no expression in the faces. 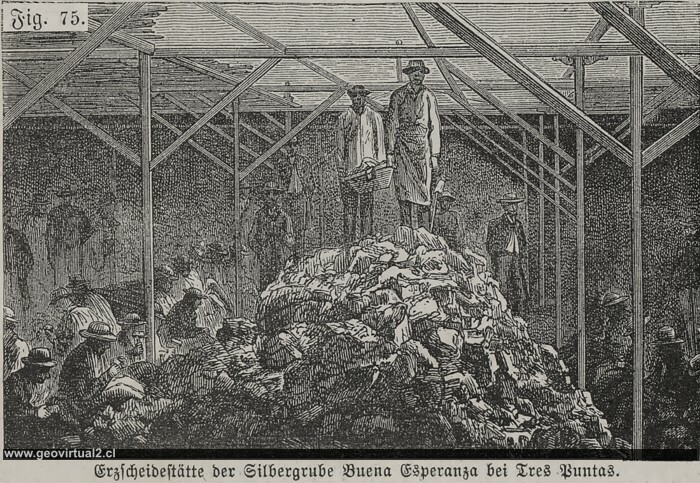 Tornero drastically reduces each person to his or her role in the mine. The total (enormous) number of workers can only be identified with great difficulty (Fig. 3). 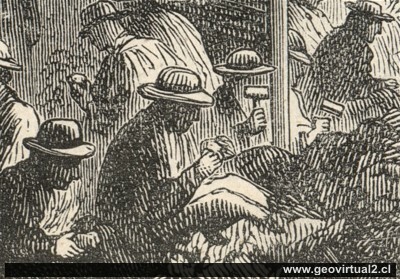 All sitting - down, only the higher ranking employees all above the seated workers - in an absolutely upright - stretched posture and an enormous height (the right hand person in picture 2 is almost out of proportion). This group of people is never shown in inclined or bent posture (Fig. 2). Always in the background, very blurry - very fuzzy, but throughout, absolutely well dressed groups of people can be recognized, who never work manually, many with an illuminated and visible open face. These people observe or monitor the slightly spooky scenery. (Picture 4) Compare the pages "social consciousness in the period between 1830 and 1920".